Available from http://www.balloonconnexion.com - priced 76 singapore dollars (which includes shipping to UK) approx £41 GBP - you will need to email sales@balloonconnexion.com to place an order which took about a week of exchanging emails (due to the time difference) and once the book was despatched it arrived within a week all in pristine condition and signed by Beating which is cool! Beating's first two books were excellent so if you don't know about them checkout both my reviews in this forum. 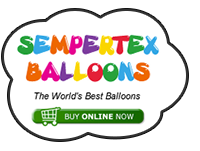 This new book contains 14 characters with additional balloon ideas and variations. The book itself is 100 pages long in A5 format (or maybe slightly bigger). It contains 100s of colour photos and very LITTLE english language. All the descriptions are written in Korean (looks the same as Chinese characters). Don't let this put you off. 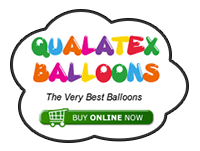 Using the handy guide below you can work out the various colours and the number of pumps to fill each balloon. The measurements are given in centimetres. Most of the time I just looked at the photos to work out the design and the end result is similar to the original design. On the front cover of the book it says this is for twisters with upper-intermediate skills. None of the twists are that challenging you just need to be comfortable making up some gaps in the descriptions that you cannot understand. This is Boots the Monkey from Dora The Explorer. The head design is new and is used in many of Beatings models. The use of marriage twists to join many of the components together gives a nice neat finish. It stands tall, is well proportioned and looks brilliant. Obviously not suitable for line work or making 'live' but a lovely piece to sell as a delivery or as a pre-ordered item for a birthday party. Really nice. Beating includes variation for a party cup topper - the body is replaced with a clear balloon filled with sweets and the final model sits on top of the party cup - you will need to buy the book to see this! "Swiper STOP swiping" - yes I have kids although too old to be watching Dora the Explorer now! Swiper is based on similar principles to Boots but with a completely head design. Getting the nose to sit tightly on the end of the 321Q yellow nose is fun. The perfect addition to your Dora collection. This is another character from Dora The Explorer. An interesting head design using 5" rounds - looks great from the front but possibly a little odd from the rear. The body design is quick and easy and can be used for lots of different characters. Some nice elements to learn from here. I love this character from Lilo and Stitch. A really good head design. Fairly difficult to follow along with the instructions but I think I did OK. It's a little tricky to get the ears the same size for some strange reason. This one should get better when I have made it a few times - the end result isn't perfect. If anyone is familiar with Beating's Cartoon Book, this body design will be second nature to you. The head design is good, the ears took a few attempts to get right. If the sizing is wrong then the pink balloon keeps popping out and the ears do not sit straight. A wonderful head design to use for a whole range of characters. Instantly recognisable. This balloon is best viewed from the front. The side view looks a little odd due to the way the eye section is constructed. The head design sits tight on the body. I like this one. Using the same style head as Fred Flintstone, this Baker character looks great and stands very tall. The 646Q hat with a geo of top is very effective. I messed up on the body bubbles as they are not exactly the same size. A good example of how versatile the head design is. These are really cute Miffy designs. Using a large round balloon for the head and the ears attached by a marriage twist, these are fairly quick to make. I struggled to make the ears fit together snug at the base so glued them! I'm sure if my marriage twist was tighter then it would have been OK. Easy to change the colours for other Miffy characters. Very cute. These look great wrapped in plastic for a delivery piece. I've seen many Road Runner designs over the years and this one is more complicated than most. The legs on this design do not sit correctly if not secured on the grey balloon at the bottom. To be honest, I will stick to my regular design which is more basic but faster to make! A fairly standard bear design but with two bears linked together arm in arm. The original design uses an un-inflated heart. I inflated it slightly and now it looks more round! The rear of the bears is nice as you can see them linking arms. Perfect for valentines day or mounted on a cup. A bit of a simple one today but uses a concept of mounting a balloon on a stick. Good for giveaways but don't use a kebab stick like I have as it it too pointed! The example in the book has the flower wrapped in plastic. Good for giveaways and makes it easy to display by push the stick into that foam stuff that florists use. The first forum post of 2017 - Happy New Year Everyone! This design is from Monsters Inc. Not exactly the same rounded shape as the animated character but nevertheless I really like this one. The instructions are a little complicated to follow so this will require some experimentation. The end design sits together nice and tight and is free standing. It takes a little while to make but don't rush the body design or you will mess it up.